Welcome to the championship round of the Jason Romano Commemorative NLCâ€™s hottest baller contest. 15 of the best-looking players on NLC (plus one guy in limbo (again)) faced off in a single-elimination tournament that culminates with tonight’s match up. This is it. The final round. Your votes this week will decide who is the NLC’s hottest honey and who is just a modestly famous athlete with a bunch of online fans. Bubba Crosby has been the cult hero of the competition, and certainly wasn’t a favorite at the beginning, considering that he hasn’t truly been a member of an NLC team the whole time. Now, it’s looking like he’ll sit a year out while he rehabs his shoulder, which at least would give him more time to enjoy his inappropriately named reign as NLC’s Hottest Baller, should he win. And right now I’d give him the odds; no other player has been able to rally the groundswell of support. Brandon Phillips has been a front-runner from the beginning of the competition. Most recently, he nudged out perennial hottie Jason LaRue with 51% of the vote. 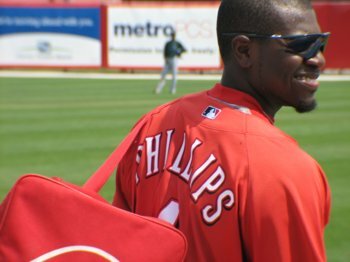 As the Reds’ second baseman for years to come, Phillips certainly seems to be a more natural choice for the competition, but it’s going to take an inspired populous of Phillips fans to overcome the Crosby mafia. Posted in Brandon Phillips, Bubba Crosby, For the Ladies. Welcome to round 2 of the Jason Romano Commemorative NLCâ€™s hottest baller contest. 15 of the best-looking players on NLC (plus the newest Mariner) face off in a single-elimination tournament. Our final match of the quarterfinal round is going to be a doozy. 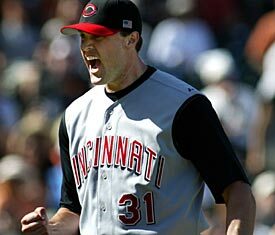 Matt Belisle, hottie starting rotation candidate for the Reds goes up against cult hero Bubba Crosby. 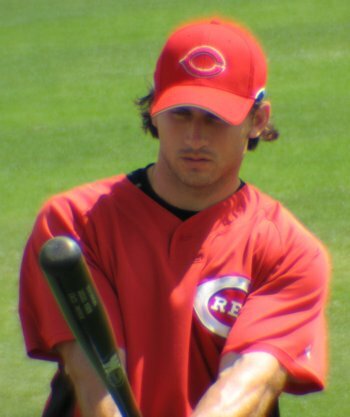 Belisle has been a fan favorite at Red Hot Mama since he came up, but Crosby brought down 78% of the vote in the first round against Bronson Arroyo is the most heavily voted-in contest of the tournament so far. 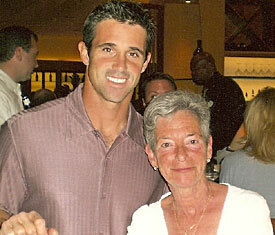 Posted in Bubba Crosby, Cincinnati Reds, For the Ladies, Matt Belisle. I met Bubba Crosby at Redsfest before the 2007 season and had the opportunity to ask him a few questions for a special edition of the Red Hot Broadcast. You can check it out here. The Cincinnati Enquirer has a little profile of one of our more popular outfield hopefuls, Bubba Crosby. Most of the stuff already appears in his human league profile, but there are a few additional tidbits. Childhood hero: My dad, Steve. Posted in Bubba Crosby, Cincinnati Reds, Human League.